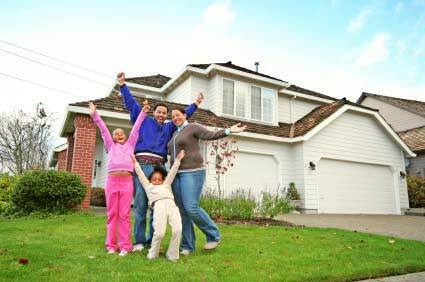 We will evaluate the value of your home with a Comparative Market Analysis (CMA). After studying recent solds and pending listings to determine the value of your property, we will research active listings (your competition) to strageitically set the list price. This will be an open dialogue with you as the homeowner so that we can make an informed decision together. Afterall, who knows your home better than you! Your property will be active on over 100 websites. It will also be posted on the Multiple Listing Service (MLS) including photos by a professional photographer, active maps, a detailed description, and attachments regarding property condition, room measurements, utility records, and neighborhood updates. Current research from the National Association of Realtors indicates that more than 80% of home buyers begin the buying process online. We want to put our best foot forward so they will schedule a personal showing! Your property will be emailed to prospective buyers, agents who sell homes in the area, and agents who have pending listings - meaning they have buyers who are ready to buy NOW. Yes, we still believe in open houses. We have many tricks up our sleeve to make open houses effective in today's market. Call us to learn more! We are on the phone a minimum of 2 hours a day actively looking for buyers for our listings. We LOVE real estate. We make it a mission to get your house sold and do not sit around waiting for the phone to ring. We pick it up and dial!! For a full list of our marketing tools, please call for a consultation. We would love to meet with you at no obligation. Your home is a major investment. We encourage people to Interview 2-3 agents before making a decision. Not every company is the same. Not every agent is the same. We have found the bottomline to getting a house sold is to be PROACTIVE not REACTIVE. We would love the opportunity to handle the sale of your home.